Pace e Bene trainer Dr. 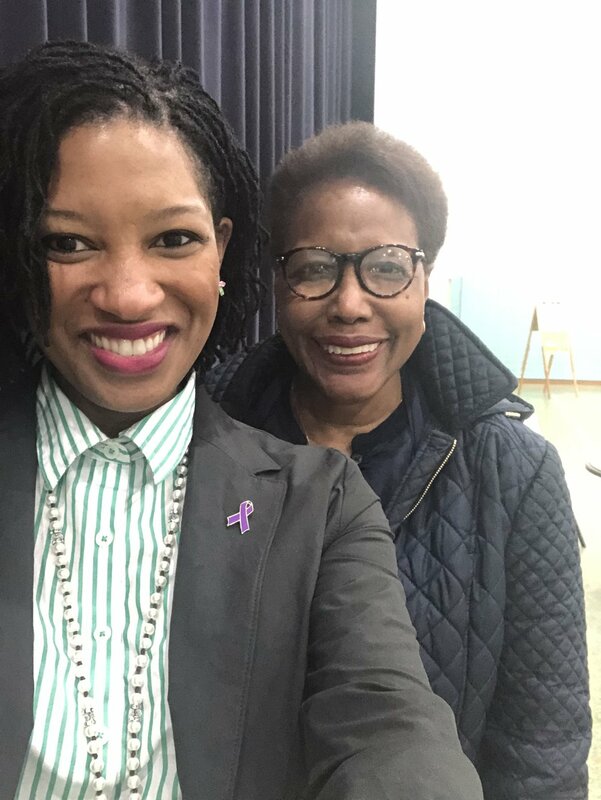 Kit Evans-Ford spoke and led a nonviolence workshop entitled From Hurt to Healing in Tiffin, Ohio on April 5. Below is her reflection. Visiting Nonviolent Tiffin was such a gift! Sr. Paulette and I journeyed with 50 male inmates at Crosswaeh correctional facility. I shared my journey of surviving an extremely violent sexual assault. Doing this allowed the men to feel comfortable sharing about their journeys. We talked about healing, forgiveness, relationships, and used activities like Two Hands of Nonviolence to recognize our scripts and how to be better, more nonviolent people in relationship with others. 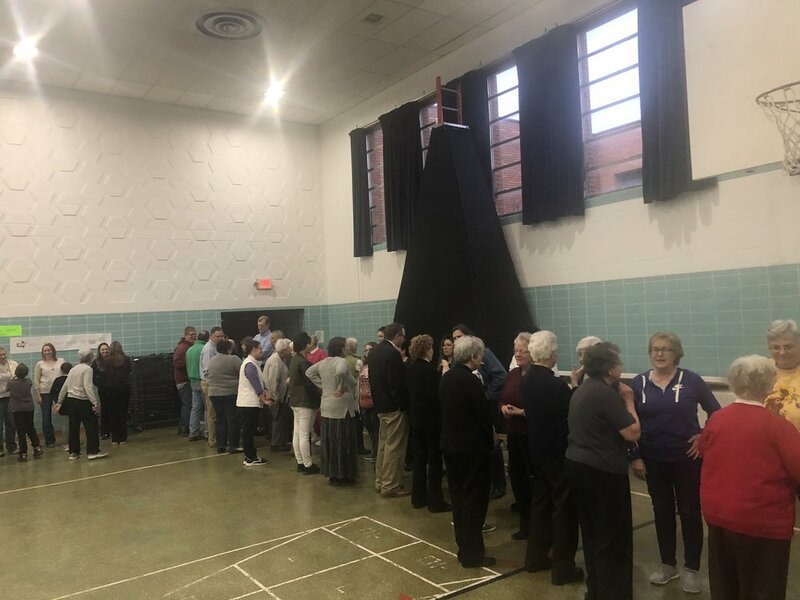 Later that evening 85 community members, which included leaders from Nonviolent Tiffin (Part of the Nonviolent Cities Project), journeyed together as we learned about trauma, healing, and nonviolence. Activities from Pace e Bene’s Engage: Exploring Nonviolence Living assisted with thinking through and applying effective ways to actively listen to others in working to resolve conflict. We are grateful for the partnership with the Sisters of St. Francis and Nonviolent Tiffin! Sister Paulette, who helped organized Dr. Evans-Ford’s visit, offered the following reflections on the workshop. “I loved the evening and the way Kit related with the people assembled—about 85 attendees in total. It was clear that she had a personal interest in each person and that she sincerely wanted every individual to benefit sincerely from the skills she taught and the sharing of her own healing with the audience. “I heard only positive remarks from the audience consisting of men and women from a local rehabilitation center, members of Nonviolent Tiffin, the mayor and the president of the town council, teachers of some of Bridges Academy, local citizens, social workers, etc. Next time I hope to have more mental health workers join us, since our outreach effort wasn't too successful. It could have helped them very much. A trauma survivor spoke Friday evening about her own experiences and what to do to move forward. Kit Evans-Ford served as the keynote speaker for the annual Nonviolent Tiffin event at the Elizabeth Schaefer Auditorium on the campus of St. Francis, 194 St. Francis Ave.
Evans-Ford has worked, studied and served throughout Europe, the Caribbean and Africa. In 2017, when Evans-Ford was serving in the Peace Corps in the Caribbean, she experienced her own trauma. While there, she taught HIV/AIDS education and cultivated relationships in the beautiful area. One day, after a student of hers had left, a man broke in and assaulted her. Her neighbors heard her screams and she as able to get away from his grip to let them to help her escape. The man was caught and sentenced to 46 years in prison. But, Evans-Ford was left with her trauma and post-traumatic stress disorder. After the events, Evans-Ford worked to find what worked for her in moving forward. She began work with a support group and semantic therapy. It is also important to find and reconnect with ordinary life, she said. “We have to use the hurt we have as energy to do something good,” Evans-Ford said. Evans-Ford said people have different scripts when dealing with nonviolence, such as avoidance, accommodation, counter violence and two hands of nonviolence. In how to move on, Evans-Ford gave a tool to use called CLARA training. The acronym stands for center yourself, learn about conflict, articulate your truth, receive the truth of others and accomplish a different outcome. While attending seminary, Evans-Ford completed a summer fellowship with Pace e Bene and has been working with the organization for nine-years. She has a doctor of ministry in spiritual direction and is the founder of Spirit Life LLC: Spiritual Direction for Everyday People.